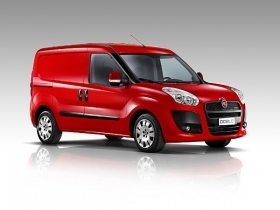 The next Opel/Vauxhall Combo will be based on the Fiat Doblo. Pictured is the current Combo. Fiat S.p.A. has signed a deal to supply General Motors Co.'s Opel/Vauxhall unit with at least 250,000 units of a new light van range. The vehicles will succeed Opel's Combo model, which reaches the end of its life cycle in the fourth quarter 2011, and will be built on Fiat's existing platform for its Doblo van. 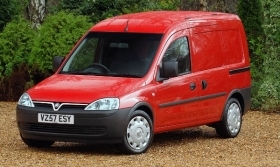 The vans will be sold by Opel and Vauxhall dealers in Europe and other markets outside North America starting in 2012. Opel said the Doblo-based vans will retain the Combo name and the range will include a number of derivatives, including cargo vans, passenger vehicles and chassis cabs. Opel designers in Ruesselsheim, near Frankfurt, are involved in the development of the new models in cooperation with Fiat's engineering and design group in Turin. The vans will be built alongside the Doblo at a plant Fiat jointly operates with Koc Holding SA under the Tofas venture in Bursa, Turkey. The Combo is currently built at Opel's factory in Zaragoza, Spain, along with the Corsa subcompact and Meriva small minivan. The factory built 29,904 Combos last year, down from 56,934 in 2008, according to Opel data. The deal to supply the Combo, the first of this kind between Fiat and Opel, is one of many accords global carmakers are signing to rationalize production in the face of diminishing demand in mature markets. Under the terms of the deal, Fiat will start supplying 6,000 vehicles to Opel in December 2011 with a view to hiking production to "at least 250,000 units," Fiat said. Opel will build a range of vans based on the Fiat Doblo, shown. Fiat currently produces more than 100,000 Doblo vans a year at the Turkish plant. Buoyant sales of light commercial vehicles were one of the drivers of forecast-beating third-quarter results at Fiat, which is Europe's sixth-largest carmaker.